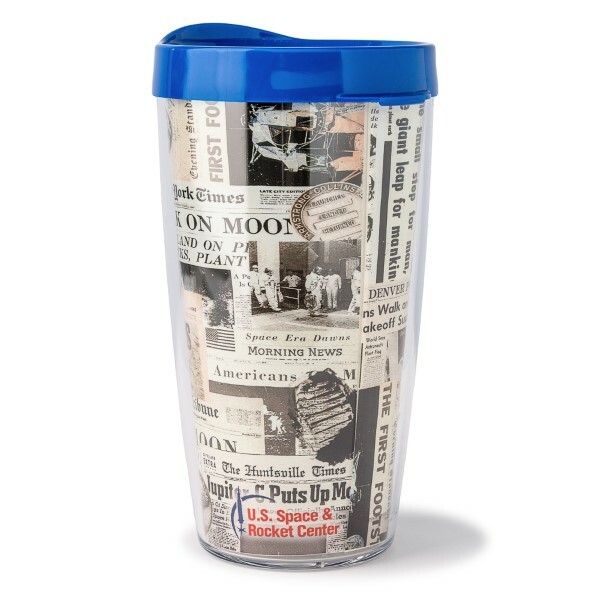 Covered with the newspaper headlines from the1969 Apollo Moon Landing , this insulated tumbler is dishwasher and freezer safe. Perfect for hot or cold beverages. 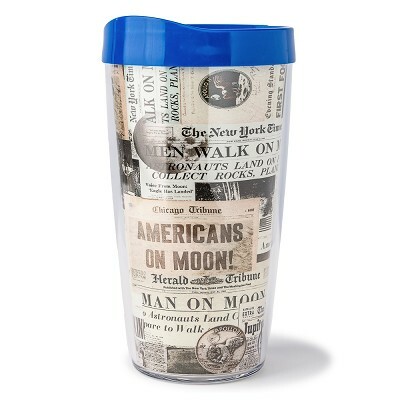 Press on , drink thru lid.